National Science Foundation awards $60 million to the Texas Advanced Computing Center to build nation’s fastest academic supercomputer. A new supercomputer, known as Frontera (Spanish for “frontier”), will begin operations in 2019 [That’s pretty fast]. It will allow the nation’s academic researchers to make important discoveries in all fields of science, from astrophysics to zoology, and further establishes The University of Texas at Austin’s leadership in advanced computing. The National Science Foundation (NSF) announced today that it has awarded $60 million to the Texas Advanced Computing Center (TACC) at The University of Texas at Austin for the acquisition and deployment of a new supercomputer that will be the fastest at any U.S. university and among the most powerful in the world. The new system, known as Frontera (Spanish for “frontier”), will begin operations in 2019 . It will allow the nation’s academic researchers to make important discoveries in all fields of science, from astrophysics to zoology, and further establishes The University of Texas at Austin’s leadership in advanced computing. Frontera is the latest in a string of successful awards and deployments by TACC with support from NSF. Since 2006, TACC has built and operated three supercomputers that debuted in the Top 10 most powerful systems in the world: Ranger (2008), Stampede1 (2012) and Stampede2 (2017). Three other systems debuted in the Top 25. If completed today, Frontera would be the fifth most powerful system in the world, the third fastest in the U.S. and the largest at any university. For comparison, Frontera will be about twice as powerful as Stampede2 (currently the fastest university supercomputer) and 70 times as fast as Ranger, which operated until 2013. To match what Frontera will compute in just one second, a person would have to perform one calculation every second for about a billion years. Anticipated early projects on Frontera include analyses of particle collisions from the Large Hadron Collider, global climate modeling, improved hurricane forecasting and multi-messenger astronomy. The primary computing system will be provided by Dell EMC and powered by Intel processors. Data Direct Networks will contribute the primary storage system, and Mellanox will provide the high-performance interconnect for the machine. NVIDIA, GRC (Green Revolution Cooling) and the cloud providers Amazon, Google, and Microsoft will also have roles in the project. Faculty at the Institute for Computational Engineering and Sciences (ICES) at UT Austin will lead the world-class science applications and technology team, with partners from the California Institute of Technology, Cornell University, Princeton University, Stanford University, the University of Chicago, the University of Utah and the University of California, Davis. Experienced technologists and operations partners from the sites above as well as The Ohio State University, the Georgia Institute of Technology and Texas A&M University will ensure the system runs effectively in all areas, including security, user engagement and workforce development. “With its massive computing power, memory, bandwidth, and storage, Frontera will usher in a new era of computational science and engineering in which data and models are integrated seamlessly to yield new understanding that could not have been achieved with either alone,” said Omar Ghattas, director of the Center for Computational Geosciences in ICES and co-principal investigator on the award. 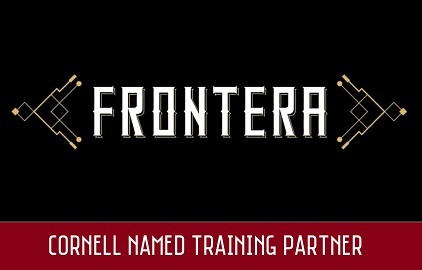 Frontera’s name alludes to “Science the Endless Frontier,” the title of a 1945 report to President Harry Truman by Vannevar Bush that led to the creation of the National Science Foundation. Frontera will enter production in the summer of 2019 and will operate for five years. In addition to serving as a resource for the nation’s scientists and engineers, the award will support efforts to test and demonstrate the feasibility of an even larger future leadership-class system, 10 times as fast as Frontera, to potentially be deployed as Phase 2 of the project. The Texas Advanced Computing Center (TACC) designs and operates some of the world’s most powerful computing resources. The center’s mission is to enable discoveries that advance science and society through the application of advanced computing technologies.